I note some of my observations from television news early in 2019 of her husband Josh Hawley’s taking the oath of office as Missouri’s new United States Senator, officiated by Vice-President Mike Pence. It was conducted from the Rotunda of the United States Capitol. At that moment, Josh became the youngest of 100 members of the United States Senate. It was touching, though brief, filled with much substance and symbolism. Erin was standing to Josh’s right, Vice President Pence to his left. One of their two little boys was holding the Bible upon which Josh had his right hand. 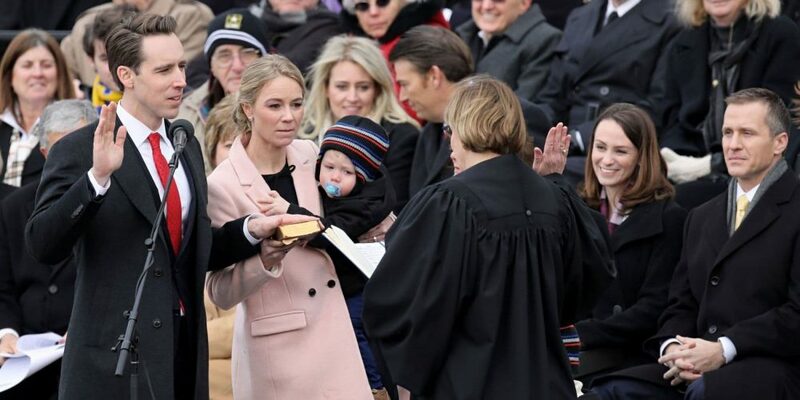 Erin was holding the other little one, who reached over — during the oath — to the Vice President’s copy of the oath, seemingly as if he was making sure the VP was doing it right! 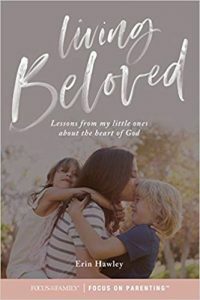 More comments about her “lessons learned” from her “little ones,” are available at the “Focus on the Family” website … by clicking on … https://www.focusonthefamily.com/parenting/parenting-roles/recapturing-courage-what-kids-can-teach-you-about-god. Her book can be ordered there also.